I was getting some extra web traffic to an older post and I tracked it down. 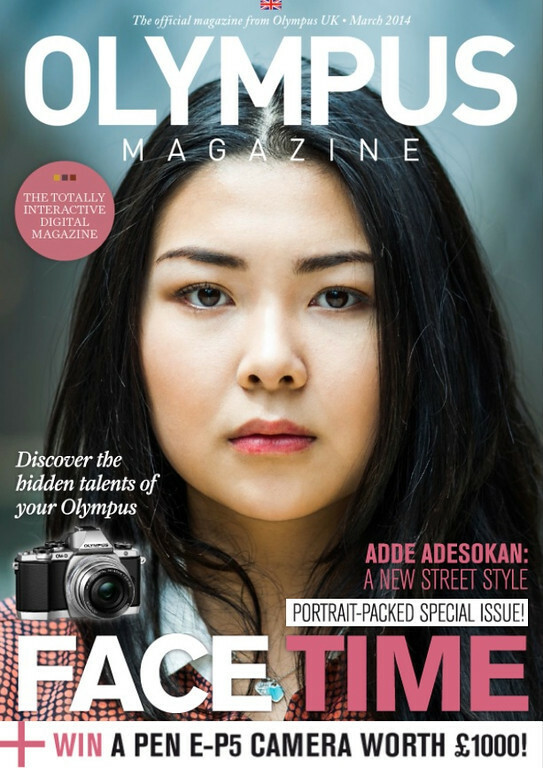 This month’s Olympus Magazine (March 2014, both the website and iPad newsstand version) was linking to my website. 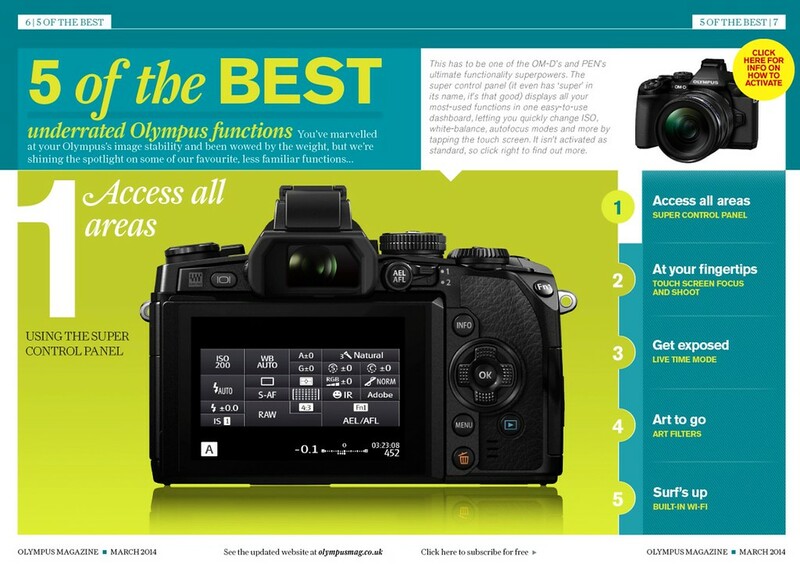 In the article “5 of the BEST underrated Olympus functions”, they linked to my post about turning on the Super Control Panel. Go to page 6 & 7 from this link and click on the yellow circle at the top right (a sample screen shot below). I didn’t know they were going to do this — I’m both honored and slightly amused. If the manufacturer’s magazine was linking to my post, I must have done a good job, I guess. I update that post with larger images and in my new format. I’m mentioning this for Olympus users to enable this very useful feature and, I admit, to do a little personal horn tooting. Here are the 2 “how to” Olympus posts I’ve written so far. I feel a sense of reflected glory because I originally begged you to explain it because I was too much a dunderhead to figure it out. You morphed it into a post and voila! It pays to be a good explainer! You have no idea how many times I have referred to that post or referred to it myself! Absolutely Marilyn, thank you for the idea. I’m glad this post continues to help.